Why Choose David Greenbank and Pristine? The enormous range and value of vehicles Pristine refurbish wheels for, requires a series of highly specialised tools, engineering skill and experience. There are many different treatments, remanufacturing and engineering processes that are applied at Pristine’s facility in order to deliver the optimum results. When it comes to refurbishing a wheel, the approach at Pristine is to get the wheel to the stage where it can be rebuilt to exacting standards and professionally finished. 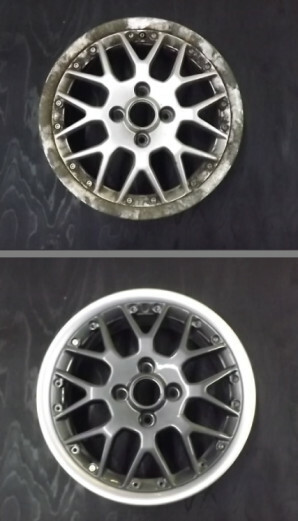 The detailed processes Pristine go through result in a wheel that could have come directly from the factory and it retains total integrity in terms of durability and reliability. There is a risk with the simple method of grinding down and then polishing wheels of a reduction in material and changes to the shape, weakening and unbalancing them which consequently can cause a safety issue. It’s a risk you won’t be taking when you bring your wheels to Pristine.